holds the Chair of International Relations at the University of Reading. She holds a B.A. (History) and an M.A. (International History) from the University of London (Bedfor College and LSE), and her D.Phil. (Political Science) from the University of Oxford; she holds a Higher Doctorate (Habilitation) from the Philipps-University of Marburg. From 1991-2003 she taught at the Department of War Studies, King’s College, London, where she last held the Chair in International and Strategic Studies (2000-2003). In 1996/7 she spent a sabbatical at NATO headquarters as a consultant/intern. From 2003-2007 she was Director of Research at the Military History Research Office of the Bundeswehr. She has also taught in France (University of Reims; Graduate School of Journalism in Lille) and in Germany (University of Potsdam, University of the Bundeswehr near Munich). Historical Lessons, Myths, Mentalité, and Political Culture in Security/Defence and Military Policy. Transatlantic Relations: Sharing Ideals and Costs Chatham House Paper (London: Pinter for RIIA, 1996), 126p., Index; ISBN 1-85567-354-1 (hbk); ISBN 1-85567-355-X (ppb). Western Containment Policies in the Cold War; The Yugoslav Case, 1948-1953 (London & New York: Routledge, 1989), 304p., Index, Appendices, Map, Bibliography. editor with Anja Victorine Hartmann: War, Peace and World Orders from Antiquity until the 20th century (London: Routledge, 2001), 267 p., Index, Select Bibliography. ISBN 0-415-24440-4 (hbk), ISBN 0-415-24441-2 (ppb). editor Nuclear Weapons and the Future of European Security, London Defence Studies No.8 (November 1991) with contributions by Robert O'Neill, Lawrence Freedman, David Yost and Catherine Kelleher, 69 pp. also as Center for International Security Studies at Maryland Occasional Paper No. 5 (November 1991), 71 p.
with François Géré, Alain Baer et al. : Réflexions sur le ‘Nucléaire interdit’ (Paris: CREST, 1998). with Alain Baer, François Géré, et al: ‘La coopération nucléaire européenne: de la guerre froide au XXIe siècle’, Demain, l'ombre portée de l'arme nucléaire... (Paris: CREST, 1996), pp. 35-48. ‘Misleading Paradigms of War: States and Non-State Actors, Combatants and Non-Combatants’, War and Society Vol. 27 No. 2 (Oct. 2008), pp. 1-24. ‘The Cultural Revolution in Counterinsurgency’, review essay, Journal of Strategic Studies Vol. 30 No. 1 (Feb. 2007), pp. 153-71. ‘Graf Guibert und Friedrich der Große als Held des Siebenjährigen Krieges’, Historische Mitteilungen der Rankegesellschaft Vol. 18 (2005), pp.31-43. ‘Wars since 1945: an Introduction’ in Zeithistorische Forschungen/Studies in Contemporary History Band 2 No. 1 (2005), pp. 4-16. ‘Of Sibling Rivalry and Lovers Spurned: Franco-American Relations over Two Centuries’, in David G. Haglund (ed. ): The France-US Leadership Race: Closely Watched Allies special issue of Queen’s Quarterly, (Kingston, Ont., 2000), pp. 43-61. ‘Beliefs, Cultures, Proliferation and Use of Nuclear Weapons’, in Eric Herring (ed. ): Preventing the Use of Weapons of Mass Destruction Special Issue of Journal of Strategic Studies Vol. 23 No. 1 (March 2000), pp.74-100. ‘Victory in a Nuclear War? A Comparison of NATO and WTO War Aims and Strategies’, Contemporary European History Vol. 7 Part 3 (November 1998), pp. 311-328. ‘Proliferation and/or Alliance? The Federal Republic of Germany’, in Leopoldo Nuti and Cyril Buffet (eds. ): Dividing the Atom, special issue of Storia delle Relazioni Internazionali (Autumn 1998). ‘The European Dream of Franz Josef Strauss’, in Journal of European Integration History Vol. 3 No. 1 (Spring 1998). ‘Historical ‘lessons’ and discourse on defence in France, Germany, 1945-1990’, Rethinking History Vol. 3 (July 1998), pp.199-237. ‘Les puissances nucléaires officielles: entre désarmement et prolifération’ Theme volume Pour une nouvelle politique de l’arme nucléaire, No :11 of Les Cahiers de la Fondation pour les Etudes de Défense (1998), pp. 37-44. ‘’Punching above her weight’: les forces militaires de la Grande-Bretagne dans l’après-guerre froide’, Stratégique No 65 (1/1997), pp. 131-149. ‘Britain, France and the Parting of Ways between Suez and Nassau’, Storia delle Relazioni Internazionali Vol. XIII No. 3 (Autumn 1997). ‘The development of NATO's nuclear strategy’, Contemporary European History Vol. 4 No. 1 (1994), pp. 37-66; also published as ‘Die Entwicklung der Kernwaffenstrategie der NATO’, Österreichische Militärzeitschrift (1994). ‘European strategists and European identity in the nuclear age’ in Journal of European Integration History Vol. 1 No. 2 (1995), pp. 61-80. ‘Warsaw Pact Military Doctrines in the 70s and 80s: Findings in the East German Archives’, Comparative Strategy Vol. 12 No. 4 (Oct.-Dec. 1993), pp. 437-457. ‘Containing Uncertainty: Options for British Nuclear Strategy’, Review of International Studies Vol. 19 No. 3 (July 1993), pp. 245-267. ‘Réflexions sur les represailles massives et la riposte graduée’, Revue d'histoire diplomatique No. 3-4 (Spring 1992). ‘NATO, Nuclear Weapons and the New Europe’, Orbis Vol. 36 No. 2 (Spring 1992), pp. 221-226; a shorter version published as ‘Ewiger Friede ohne Ewige Abschreckung?’, Europäische Sicherheit Vol. 41 No. 1 (January 1992), pp. 11-14. ‘A rejoinder to Michael Cox’ Review of International Studies Vol. 18 No. 1 (January 1992), pp. 85-86, following from M. Cox's article in the same issues, disputing the findings of my article in Review of International Studies Vol. 17 No. 1 (see below). ‘NSC 68 and the Soviet Threat: A New Perspective on Western Threat Perception and Policy Making’, Review of International Studies Vol. 17 No. 1 (January 1991), pp. 17-40.
also published as ‘Covert Action within British and American Concepts of `Containment'‘ in Richard Aldrich (ed. ), British Intelligence, Strategy and the Cold War, 1945-51 (London: Routledge, 1992), pp. 65-84. ‘The British and French Nuclear Postures: Blair’s and Chirac’s Legacies’, in Angelo Baracca, Leopoldo Nuti, Jürgen Renn et al. (eds): Nuclear Proliferation: History and Present Problems, Preprint 364 (Berlin: Max Planck Institut für Wissenschaftsgeschichte, 2009), pp.59-71. ‘The Soviet response to the Euromissile crisis, 1982-83’, in Leopoldo Nuti (ed): Reheating the Cold War: From Vietnam to Gorbachev, 1975-1985 (London: Routledge, 2008), ISBN 978-0415460514, pp. 137-149. ‘Santa Cruz de Marcenado (1684-1732): Aufstandsbekämpfung im Zeitalter der Aufklärung’, in Außen- und Sicherheitspolitische Studienkreise (eds) : Asymmetric Warfare – Asymmetrische Kriegführung im Spiegel der Zeit (Berlin: Köster, 2008), pp. 113-128. ‘Clausewitz’ Ideas of Strategy and Victory’, in Andreas Herberg-Rothe and Hew Strachan (eds): Clausewitz in the 21st Century (Oxford: Oxford University Press, 2007), pp. 132-163. ‘Kniga Klauzewitsa “O Boine” kak shedev’ XXI veka’, (= Clausewitz’s Book “On War” in the 21st century”) Appendix to new edition of A.E.Snesarew: Zhizn I trudij Klausevitsa (Life and Work of Clausewitz) presented by Vassilij Belosjorov (Moscow: Klassicheskaya Voennaya Mysl: 2006), pp.260-281. ‘New World and Old Europe: American Screen Images of Britain and France‘, in John Baylis and Jon Roper (eds. ): The United States and Europe: The Future Divide? (London: Frank Cass, 2006), pp. 194-215. ‘Clausewitz’ Methodologie und Traditionen der Militärgeschichtsschreibung’, in Comisión espanola de Historia militar (ed): Actas di XXXI Congreso internacional de Historia militar (Madrid: Imprenta Ministerio de Defensa, 2006), pp.417-434. ’Clausewitz’ Methodology and the Traditions of British Writing on War’, in Major General Mungo Melvin (ed. ): The Blenheim Conference Papers: The Silent Alliance – 300 Years of Anglo-German Cooperation Occasional Paper No. 52 (UK Strategic And Combat Studies Institute, 2007), ISBN 1-8743-4642-9, pp. 46-58. ‘NATO: Alliance of Democracies and Nuclear Deterrence’, in Sven G. Holtsmark, Vojtech Mastny und Andreas Wenger (ed): War Plans and Alliances in the Cold War: Threat Perceptions in the East and West (London: Routledge, 2006), pp. 193-217. ‘Frédéric le Grand et le Comte de Guibert: une dialectique stratégique‘, Revue militaire suisse, Special « Histoire », Year 151 No. 6-7 (June-July 2006), pp. 26-32. ‘Partners in NATO: Britain, Germany and the “Nuclear Issue”’, in Manfred Görtemaker (ed. ): Britain and Germany in the 20th Century (Oxford: Berg, 2006), p. 145-184. ‘The Special Relationship, Nuclear Strategy and Nuclear Weapons’, in Ursula Lehmkuhl & Gustav Schmidt (eds. ): From Enmity to Friendship: Anglo-American Relations in the 19th and 20th centuries Jahresband 5 des Arbeitskreis Deutsche Englandforschung (Augsburg: Wißner, 2005), pp.131-152. ‘Kriegswissenschaften, Friedensforschung oder Militärgeschichte?’ in Detlef Nakath (ed): Militärgeschichte als Erfahrung, Miliärgeschichte als Instrument: Festschrift für Reinhard Brühl zum 80. Geburtstag (Potsdam: Rosa Luxemburg Stiftung Brandenburg, 2005), pp. 121-146. 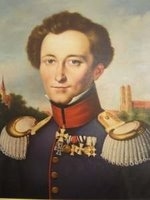 ‘Clausewitz und der Kleine Krieg’, Clausewitz Informationen No. 1 (2005), pp. 35-65. ‘Großbritanniens Nukelarraketen’, in Thomas Stamm Kuhlmann u.a. (eds): Raketenrüstung und internationale Sicherheit von 1942 bis heute (Stuttgart> Frany Steiner Verlag, 2004), pp. 79-88. ‘Le développement de la stratégie de l’OTAN entre 1949 et 1954’, in Saki Dockrill, Robert Frank, Georges-Henri Soutou & Antonio Varsori (eds. ): L’Europe de l’Est et de l’Ouest dans la Guerre froide, 1948-1953 (Paris: Presses Universitaires de la Sorbonne, 2003). ‘Modern Man’s Myths: The Influence of Historical Memory on Policy-Making’, in Fritz Taubert (ed. ): Mythos München/Le Mythe de Munich/The Myth of Munich (Veröffentlichungen des Kollegium Karolinum Vol. 98, Munich: Oldenbourg, 2002), pp. 359-372. ‘Britain and the FRG in NATO, 1955-1990’, in Jeremy Noakes, Peter Wende & Jonathan Wright (eds): Britain and Germany in Europe, 1949-1990 (London: German Historical Institute, 2001). ‘Alliances Bedevilled by History: Franks, Germanics and Anglo-Saxons in the Cold War’, in Luciano Tosi: Europe, its Borders and the Others (Napoli: Edizione Scientifiche Italiane, 2000), pp.313-349. with Cyril Buffet: ‘Nur Sonderwege: Gedanken zur Nationalstaatlichkeit und zu Europa’, in Peter Schöttler, Patrice Veit, Michael Werner (eds): Plurales Deutschland -Allemagne Plurielle (Göttingen: Wallstein, 1999), pp. 337-344. ‘What Price Solidarity? Nuclear Dependence in NATO, 1949-1967’, in Kathleen Burk and Melvyn Stokes (eds. ): The United States and the European Alliance since 1945 (Oxford: Berg, 1999), pp. 153-178. ‘NATO Strategy during the Cold War’, in Wayne Fessey (ed. ): NATO’s 50th Anniversary (Hadley: Winchester Group for NATO, 1999), pp. 181-185. ‘Die No-first-use Debatte’, Soldat und Technik (February 1999). ‘John Bull und Marianne: Großbritannien, Frankreich und die Suez-Krise’, in Winfried Heinemann and Norbert Wiggershaus (eds. ): Das Internationale Krisenjahr 1956 (Munich: Oldenbourg, 1999), pp. 553-572. ‘Les alternatives européennes à une force nucléaire nationale française, 1956-1974’, Revue Militaire Suisse in two parts, Vol. 143 Nos. 4 & 5 (April & May 1998). ‘Dunkirk, Dien Bien Phu, and Suez, or why France doesn't trust allies and has learned to love the bomb’, in Heuser & Buffet (eds. ): Haunted by History (see above), pp. 157-174.
with Cyril Buffet: ‘Michel and Marianne’, and ‘Of Myths and Men’, and ‘Historical Myths and the Denial of Change’, in Heuser & Buffet (eds. ): Haunted by History (see above), pp.175-205. ‘The Transformation of France’s Armed Forces’, Journal of the Royal United Services Institution Vol. No. (Feb. 1997), pp. 35-40.
with Cyril Buffet: ‘Résister à la tempête: les réactions britanniques au départ de la France de l'intégration militaire de l'OTAN’, in Maurice Vaïsse, Pierre Mélandri et Frédéric Bozo (eds. ): La France et l'OTAN, 1949-1996 (Bruxelles: Eds. Complexe, 1996), pp. 427-449. ‘The Demise of Anglo-Soviet and the Birth of Anglo-German Military Co-operation 1941-1955’, in Adolf M. Birke & Hermann Wentker (eds. ): Germany and Russia in British Policy towards Europe since 1815 (Munich: K.G. Saur, 1994), pp. 123-143. ‘Past and future trends in British, French and German security policies’, in Ann-Sofie Dahl (ed. ): The Future of European Security: implications for Swedish defence. (Stockholm: FOA, 1995). ‘Mitterrand's Gaullism: Cold War Policies for the Post-Cold War World?’ in Antonio Varsori (ed. ): Europe 1945-1990: the end of an era? (New York: St. Martin's Press, 1994) pp. 346-369. ‘Reassurance, Commitment, Credibility and Deterrence: Squaring the Vicious Circle: Aspects of British and French Nuclear Strategy’, in John Hopkins & Weixing Hu (eds): Strategic Views from the Second Tier: The Nuclear Weapons Policies of Britain, France and China (San Diego, California: IGGC, 1994), pp. 141-153.
with Lawrence Freedman: ‘NATO in transformation: toward a pan-European security mechanism?’, in Beverly Crawford & Peter W. Schulze (eds): European Dilemmas after Maastricht (Berkeley, Center for German and European Studies, University of California, Berkeley, 1993), pp. 244-62. ‘The future of nuclear weapons in world security structures’, Ditchley Conference Report No. D93/13 (Nov. 1993). ‘Jugoslawien: Labor für Experimente in der Europäischen Sicherheit’ Europäische Sicherheit Vol. 42 No. 4 (April 1993), pp. 194-196.
with Georges Tan Eng Bok: ‘OTAN: continuité ou évolution’, Défense nationale Vol. 47 No. 12 (December 1991), pp. 105-114; another version published as ‘NATO am Scheideweg’, Europa Archiv No. 24 (December 1991). ‘Introduction’, in Heuser & O'Neill (eds. ): Securing Peace in Europe, pp. 1-13.
a different (French) version of this is (‘L'avenir de la sécurité européenne’) Défense nationale Vol. 47 (April 1991), pp. 53-66. ‘Yugoslavia in Western Defence Strategy, 1948-1955’ in Marko Milivojevic, John B. Allcock and Pierre Maurer (eds. ): Yugoslavia's Security Dilemmas (Oxford, Berg, 1988), pp. 126-163. ‘Western Diplomats' Perceptions of the Origins of the Tito-Stalin Split’ in The South Slav Journal Vol.10 No.3 (Autumn 1987), pp. 1-20. ‘The Atlantic Alliance at 50: the Origins and Transformation of NATO’, Review essay in Contemporary British History Vol. 13 No. 4 (Winter 1999), pp. 180-191.
Review of Mark Mazower: Dark Continent: Europe’s Twentieth Century in Contemporary British History (2000). ‘Nuclear strategy in the era of nuclear competition’, Contemporary Record (Autumn 1997). ‘War: fiction and reality’ in Futures (January/February 1994), pp. 107-108. ‘European defence before and after the ‘turn of the tide’’, Review of International Studies Vol. 19 No. 3 (October 1993), pp. 409-419. ‘The Dangers of an outdated mindframe: Pierre Lellouche’s Bad New World’ in Diplomacy and Statecraft Vol. 4 No. 1 (March 1993), pp. 149-155. ‘Keystone in the Division of Europe: Germany in the Cold War’, in Contemporary European History Vol. I No. 3 (Autumn 1992), pp. 323-333. ‘Museums, Identity, and Warring Historians: Observations on History in Germany’ in The Historical Journal (Spring 1990), 30pp. ‘The Historikerstreit: Uniqueness and Comparability of the Holocaust’ in German History Vol.6 No.1 (Spring 1988), pp. 69-78.